Miss Havisham and Magwitch each have great expectations. From opposite ends of the social spectrum, they set out to control the lives of children but succeed only in wrecking them, and themselves. Literature, especially in the fast-changing 19th century, is full of plots that turn on the old exercising power over a world they must leave. Perverse wills and entailed properties, contracted marriages and enforced professions—again and again, young characters struggle for freedom from the chains laid on them by the older generation. One of art’s mysteries is how we can love it and yet not hear what it says, a paradox that is, on reflection, not unlike the relationship between parents and children. How often have we read these tales about the impossibility of controlling others without applying their insight to our own circumstances? The desire to pass on our ideas, values and tastes to the next generation is so powerful that one might almost wonder whether it is the principal reason for having children. It is the foundation of artistic practice. All artists steal from, rebel against and finally learn to live with the older generation. By then they have themselves begun telling the next generation how they’re failing to respect all standards. The desire to protect what we value by passing on responsibility for its upkeep is also a cornerstone of cultural policy. In Britain, it’s generally framed within an educational context. Most galleries and museums, orchestras and theatres, have dedicated (if underfunded) staff who offer introductory programmes to schools and community groups. In France, where such institutional programmes are less evident, ‘la transmission culturelle’ is a focus of policy and philosophical debate: Pierre Bourdieu’s influential concept of cultural capital is rooted in a society where the word ‘héritage’ means both inheritance and heritage. But Miss Havisham succeeds only in souring her ward; Magwitch has to face Pip’s disgust at his misplaced generosity. 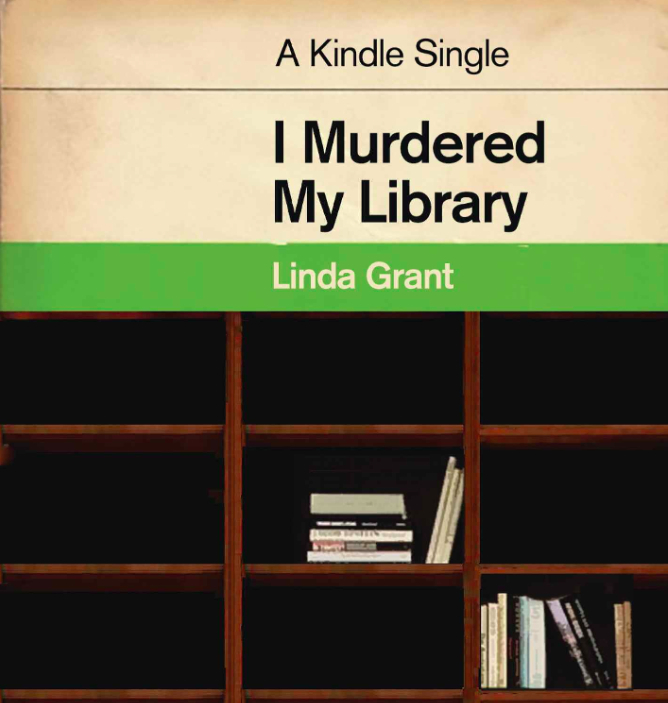 Linda Grant’s new essay describes her disposal of a library accumulated over more than fifty years. The immediate cause was moving to a smaller home, but it was also done in the knowledge that her surviving family would not want her books after her death. She would simply be bequeathing the task of dumping them. I recognise the feeling. Neither of my sons is a reader of books and the eloquent volumes I have gathered are silent to them. Like a pile of old music hall songs found in a piano stool, they belong to another time, another culture. Who wants to live with their grandparents’ furniture? Everything changes. Shakespeare is part of contemporary culture because of his own qualities, not because of his admirers’ work on the next generation. The same is true of every creative titan of the past. Trying to make the young accept the benchmarks of our own generation is futile and probably counterproductive. They have to live alongside us as children, subject to the influence of how we live. After that they’re on their own—and entitled to be so. My sons are adults now, and all ideals of how to bring them up long forgotten. Because our children mean so much to us, we find it hard to accept that who they are is beyond our control but, fortunately for them and for us, it is. Our influence may be profound, but it will never be what we hope or intend. In that respect, parenthood is rather like art: what the child, or the audience, takes from it is always beyond the donor’s control. In Great Expectations, it is Joe Gargery, who has no expectations of influence over Pip’s future, who proves to be the better guardian of the orphan’s interests. Cultural transmission is fine, so long as we understand that we’re doing it for us rather than the next generation. They will create their own cultural values, standards and tastes and we can do nothing about it. Except to try to create good work today because, to adapt Philip Larkin, what will survive of us is good.